People spend a lot of money when they plan to take a vacation, but things can happen before or during the trip that will cause them to need to postpone or cancel. These events that happen before a trip are typically covered by trip cancellation insurance while trip interruption insurance is meant to ease the financial burden when people have to cut their vacations short and return home for a covered reason once their trip has already begun. What Does Trip Interruption Insurance Cover? Trip interruption coverage allows travelers to return home from their trip and be reimbursed for their prepaid and non-refundable trip costs for specific covered reasons. These covered reasons range from a non-traveling family member becoming sick or passing away to a natural disaster at their destination. The covered reasons for trip interruption coverage are typically quite similar to those for trip cancellation coverage. While people are on vacation, they can experience a tragedy. One of the family members may become ill or pass away in an accident. Trip insurance will cover the remaining expenses that have already been paid for in this instance and can also cover the burden of last minute flights home. How Can One Purchase Trip Interruption Insurance? 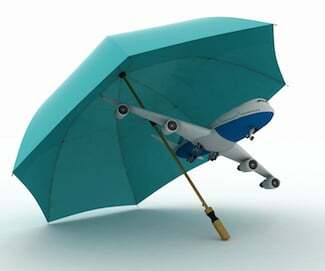 People will receive trip interruption insurance in most basic travel insurance policies. They can purchase the all-encompassing policy that has trip interruption coverage as well as travel medical insurance and baggage protection. Because some people only want protection in case they have medical issues while traveling, they can purchase a policy that has exactly that along with basic trip interruption coverage. Why Purchase Trip Interruption Insurance? People can become ill anywhere. They or a traveling companion can be involved in a car collision while outside of the country and experience devastating injuries. Before their trip is over, they can have these types of experiences that will force them to cancel the rest of their trip and forfeit all of the remaining trip costs. Becoming sick or injured is a real possibility, but travelers can also find that their luggage has been lost. They may lose their credit cards and have no way to pay for food or for passage to their hotels. The travel agency or the airline may go out of business, and they would lose all of the money that they invested in their trips. Because of all the reasons that people may not be able to enjoy their vacations as they envisioned they would, trip interruption insurance would be a very helpful purchase to make.